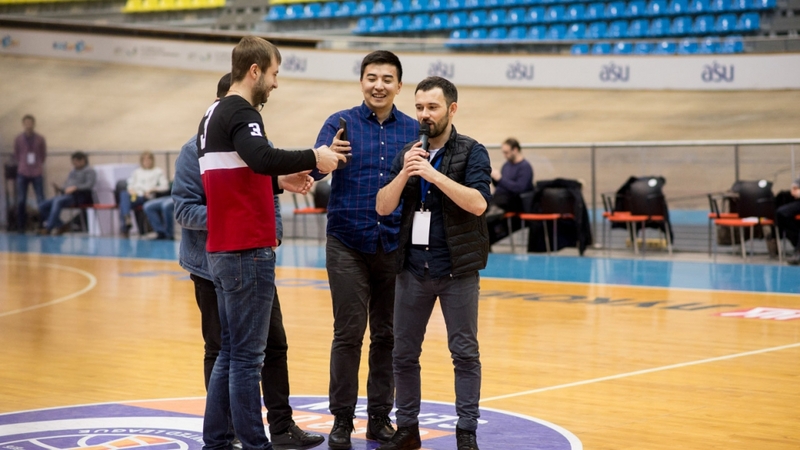 Yesterday, on January 27, during the game of the VTB United League regular championship, a basketball club «Astana» held a competition among basketball fans. Nine people took part in the competition, three of whom became winners. The club awarded them with souvenirs of PBC “Astana” brand. We remind you that the Astana team won the Latvian «VEF» with a score of — 90:77 (25:20, 24:16, 15:24, 26:17), at last, breaking the losing streak of 3 games. The next game of «Astana» will be held on February 2, on the road, against the team «Avtodor», Saratov (Russia).